Steady yourself, that Janosz Poha figure you’ve always wanted is finally -at long last- available. So are GBII Egon and Winston, and all of the above come with parts to build the firehouse’s facade. 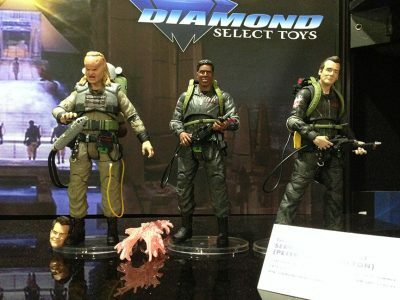 If you haven’t been paying attention, Diamond has been pumping out some of the best Ghostbusters figures in years. While the first series focused on the initial film, the second gives fans and collectors characters from the sequel and the cartoon. Yes, that’s right, The Real Ghostbusters figures are coming too. 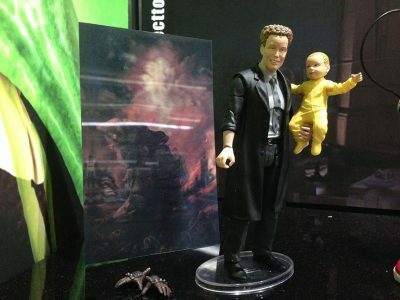 But before we start seeing those at retail, we’re getting a second wave of GBII figs. 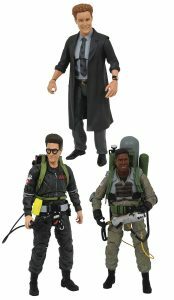 And that includes the never-before seen (in action figure form) Janosz Poha, “we’re back” Egon, and Winston with his slime-blower… it makes sense if you’ve seen the movie. 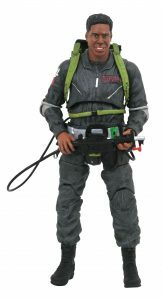 “We’re Back” Egon Spengler in his grey jumpsuit, with proton pack, walkie-talkie, ghost trap, proton stream, Santa hat, jar of pink mood slime and the line’s first giga meter, as seen in Ghostbusters 2. 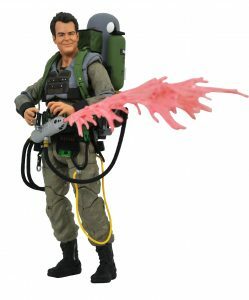 Slime-Blower Winston Zeddemore in his specialized mood-slime-projecting gear, with a pink slime stream and a severed head on a pike, from the ghost train scene in Ghostbusters 2. 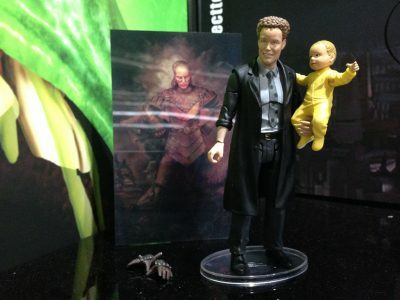 Janosz Poha, head of restoration at the Manhattan Museum of Art, with baby Oscar, a lenticular disappearing Vigo painting, and a pair of baby-holding hands for Series 6’s Vigo figure. This is Janosz’s first time in action figure form outside of the Minimates mini-figure line! We’re not done with the Ghostbusters II goodness just yet fans. Series 8 will come stocked with “we’re back” versions of Peter and Winston, and Slime-Blower Ray. Those will hit retail this summer and are pre-orderable right now. A little further down the road, we see that flip over to The Real Ghostbusters. 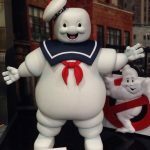 Waves 9 and 10 focus on the ‘toon, with “Egon, Winston and Slimer in Series 9, and Peter, Ray and a fully articulated 9-inch Stay-Puft Marshmallow Man in Series 10.” Those figures will also come with parts for the firehouse, and will post for pre-order later this year. Expect them at retail this coming winter. While we’re talking Ghostbusters, DST actually partnered with animator Alex Kropinak to make a pretty awesome little stop-motion short.